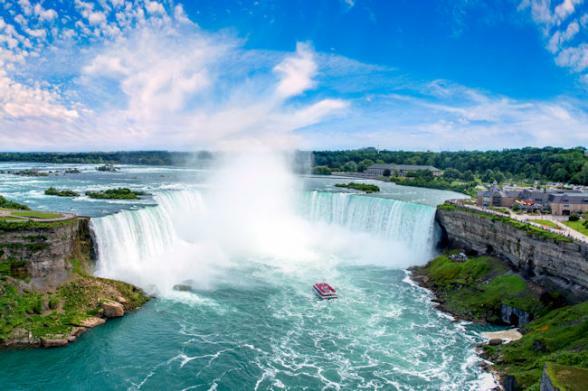 Our pre-planned motorhome holiday through the provinces of Ontario and Quebec, over 18 days, covers Eastern Canada's finest sights and culminates at the granddaddy of all waterfalls, mighty Niagara! 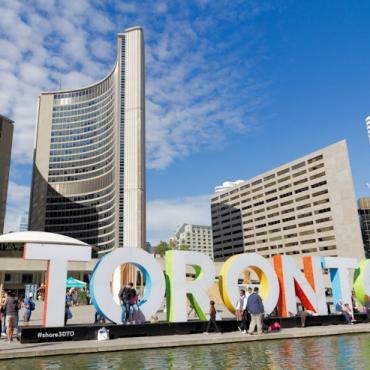 Ontario’s provincial capital, Toronto, bursts with excitement from each of its diverse neighbourhoods. The CN Tower dares visitors to take in views of Toronto and Lake Ontario from 550 meters and brave a walk outside along EdgeWalk! Further along the waterfront, the Distillery District is a quaint pedestrian-only area set along 19th century buildings that once housed a large whiskey distillery. The cobblestone streets today are lined with indie restaurants, bars and boutiques. Art lovers will be impressed with the galleries and outdoor sculptures. 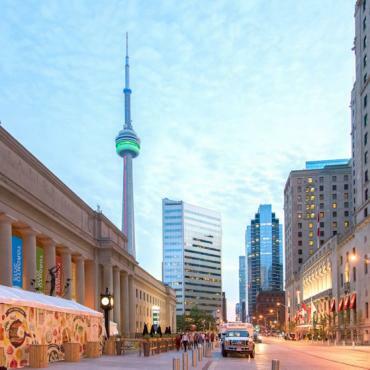 Unwind with some retail therapy along Toronto's most fashionable neighbourhood - Bloor-Yorkville and devour mouth-watering local cuisines or international specialities. 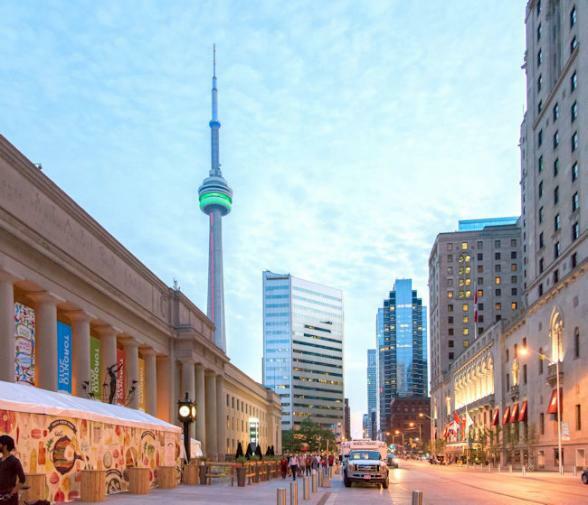 The culture scene is alive and well too with world-class performing arts and dance, as well as opera and music in stunning venues such as Roy Thomson Hall, the Princess of Wales Theatre and the Four Seasons Centre for the Performing Arts. Make your way back to Toronto Pearson Airport for your transfer to the motorhome depot. A full orientation session on the vehicle will be given before you head off on your adventure. 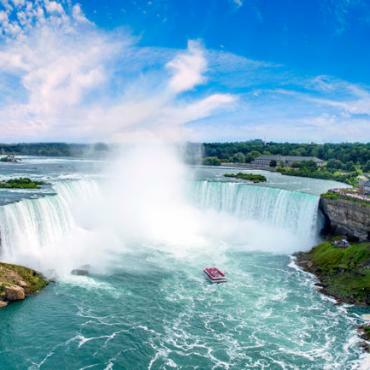 Travel along Lake Ontario as you head for Kingston, Canada’s first capital city. 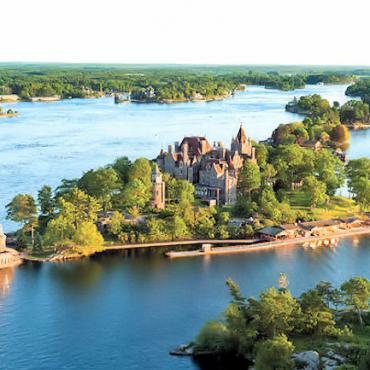 Take to the water from Kingston and cruise Thousand Islands, a group of forested, tranquil islands scattered along the St Lawrence River. The largest is Wolf Island and the quaint town of Marysville has perfect sandy beaches and crystal clear waters. 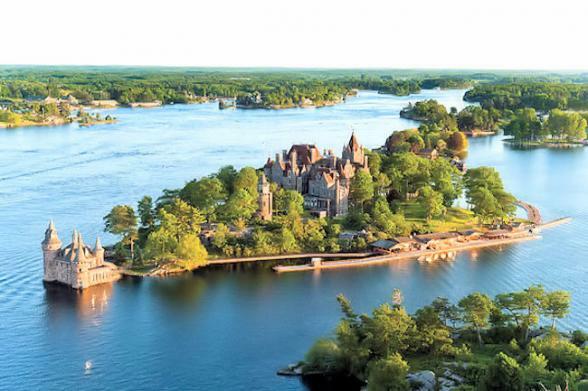 Overlooking the St Lawrence River you’ll encounter Fort Henry, a military fort dating back to 1812 and now part of the Rideau Canal UNESCO World Heritage Site. 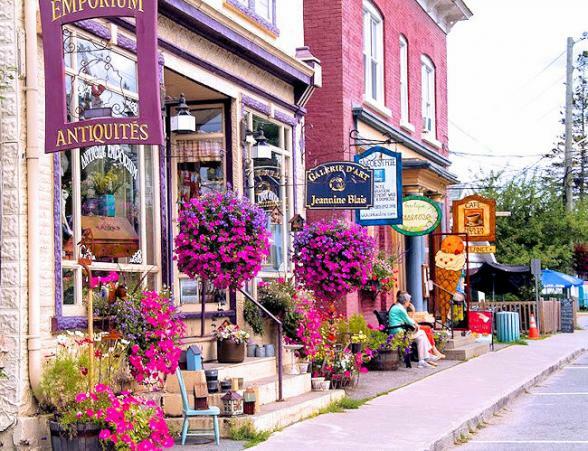 Through the Eastern Townships of south-eastern Quebec you'll come across charming villages, historic buildings, rolling vineyards and unique gourmet experiences, all nestled in nature. 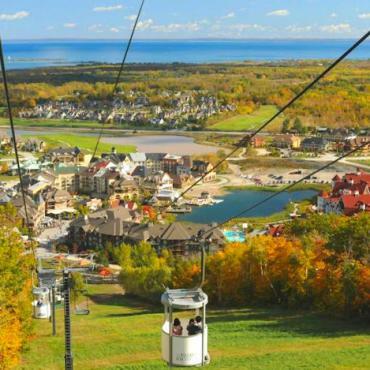 With four provincial parks in the region, this area is a hub of outdoor adventure and has the highest concentration of golf courses in Quebec. If you want to extend your stay and travel further afield, ASTROLab and the Mount Megantic Observatory are worth the trip. Learn about the night sky from Canada’s most powerful telescope. The area is actually the world’s first Dark Sky Preserve, meaning there is little to no unnatural light to impede your views of the starry night sky. Quebec City, Canada’s oldest city and the birthplace of French Canada, is a romantic city with 17th Century European influence. 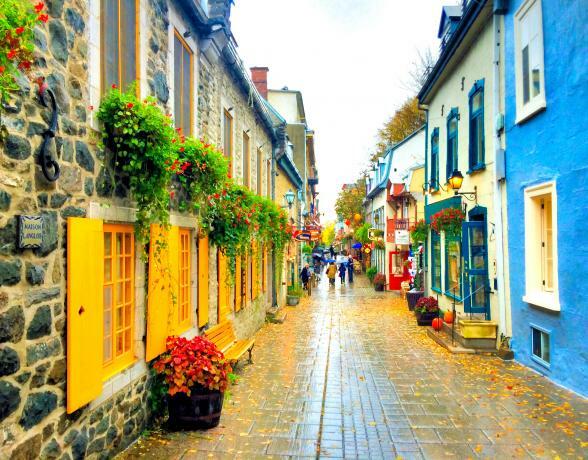 Old Quebec is a UNESCO World Heritage Site with many walking paths through cobbled, winding streets along the old fortified wall. Views of the city from the water are also stunning and a leisurely cruise along the St Lawrence River showcases Chateau Frontenac, Cap Diamant, Ile d’Orleans and the cascading Montmorency Falls. 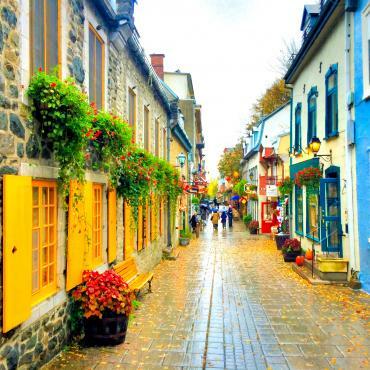 The picture-postcard district of Petit Champlain is enchanting with colourful houses and tucked away alleys. Outside the city, explore Parc National de la Jacques-Cartier, one of Quebec's most dazzling glacial valleys. Please note: RV's are not covered on insurance if parked in the city. 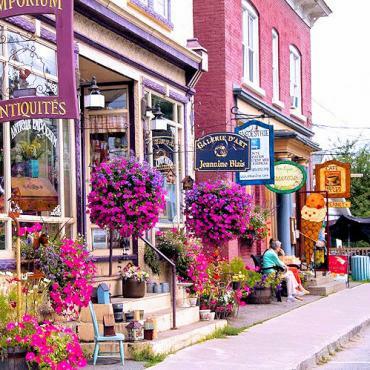 The campground for your stay in this region is the Quebec City KOA is just a shuttle ride away from the winding lanes, stone buildings and mansard roofs of North America's most charming city. 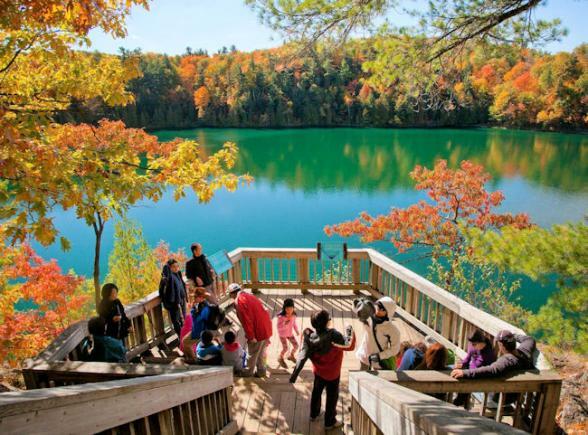 Set in the tranquil Laurentian mountains, in the scenic Mauricie region of Quebec, the park is home to 150 lakes and countless outdoor activities such as canoeing, hiking, fishing, biking and paddle boarding. If you are curious by nature, join an adventure with a seasoned naturalist to discover the wonders of this beautiful area. 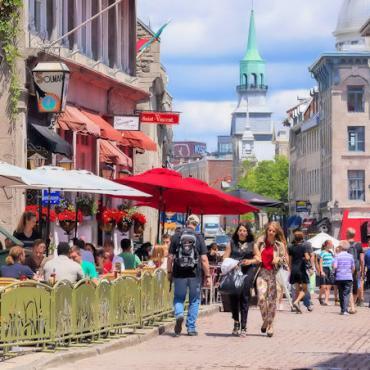 Set on an island in the St. Lawrence River, Montreal is the largest city in the province of Quebec and has a very European feel with a contemporary edge. Discover its many boroughs which were once independent cities. 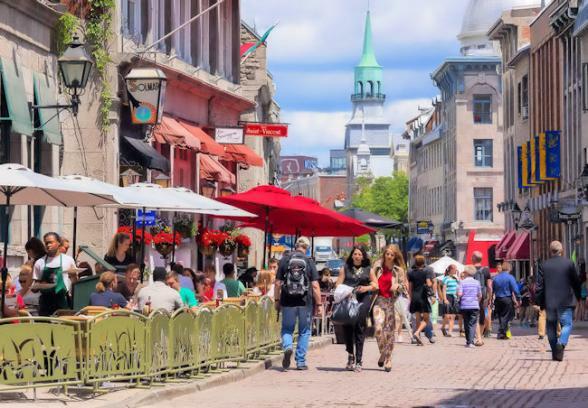 Stroll along the cobbled streets of Old Montreal and sample delicious French cuisine in cosy street cafes. A Montreal must is a visit to Notre-Dame Basilica. Built in the Gothic Revival style, the church is one of the oldest examples of the style in Canada. At the time of completion in 1829, it was considered a daring feat of construction. Please note: RV's are not covered on insurance if parked in the city. 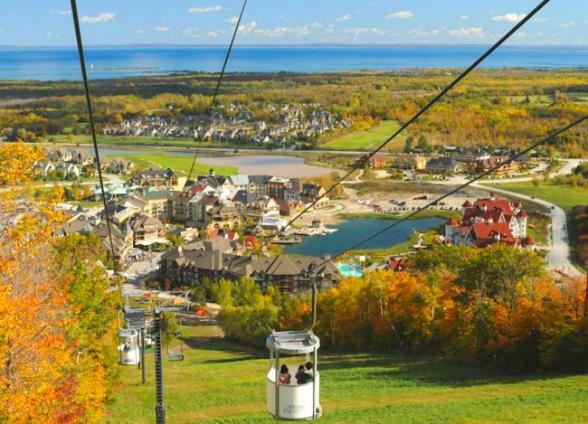 The campground for your stay in this region is the Montreal KOA South which is an easy drive to the subway station into the city providing access to Montreal's attractions and festivals. 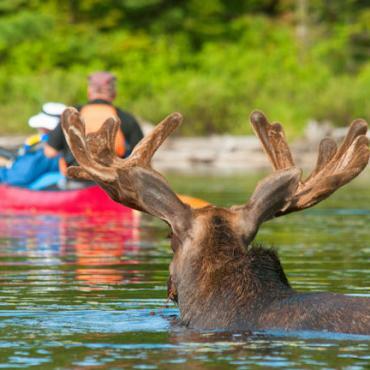 In season, tours are also available from the campsite. 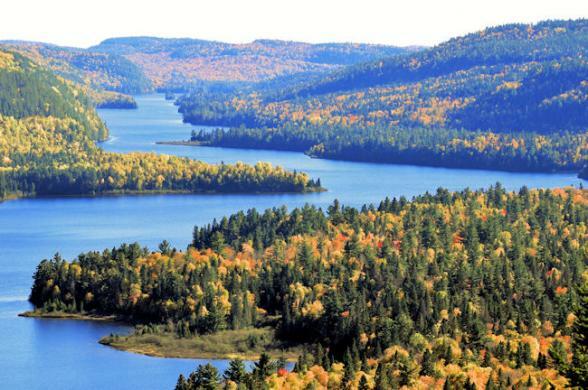 Gatineau Park is situated in the Outaouais region of Quebec, Canada, located just across the Ottawa River from Canada's capital. Immerse yourself in nature, visit heritage sites, or enjoy a picnic around its many lakes. 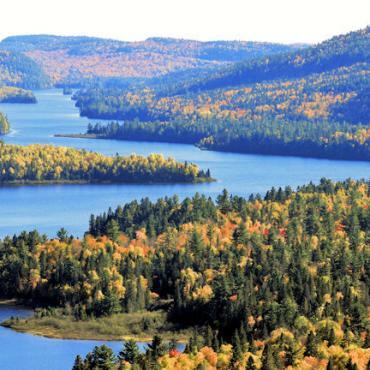 This area is one of the few places in Quebec with such a rich biodiversity and the park is a sanctuary for more than 100 species of plants and animals. 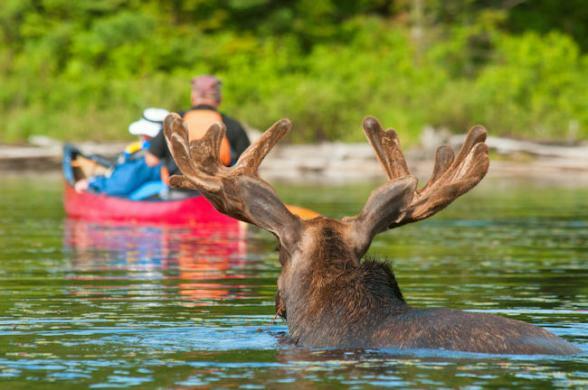 A haven for outdoor adventure, the Algonquin Provincial Park region, is home to more than 2,400 lakes for paddlers, countless hiking trails and quintessential Canadian wildlife such as moose, beaver and otter. 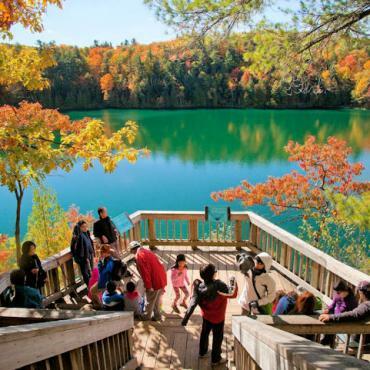 Continue your adventure through Ontario's Muskoka region, an oasis of pristine lakes, boreal forests and granite landscape en route to Blue Mountains on Georgian Bay, Ontario's largest mountain holiday resort. Spend time on the shores of Georgian Bay on Wasaga Beach, the longest freshwater beach in the world. For the more adventurous, explore the chilly glacier carved caves, or hop on the mountain gondola and enjoy panoramic views of the region. Consider extending your motorhome adventure and travel west towards Manitoulin Island, the largest freshwater island in the world and be guided by Aboriginal people around the Great Spirit Circle Trail. The thundering falls is a sight to behold. 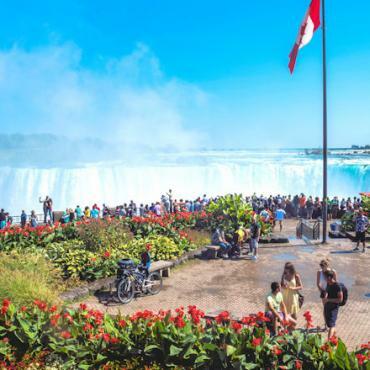 Straddling the border between Canada and the USA, the three falls move more than 3 tons of water every single second! 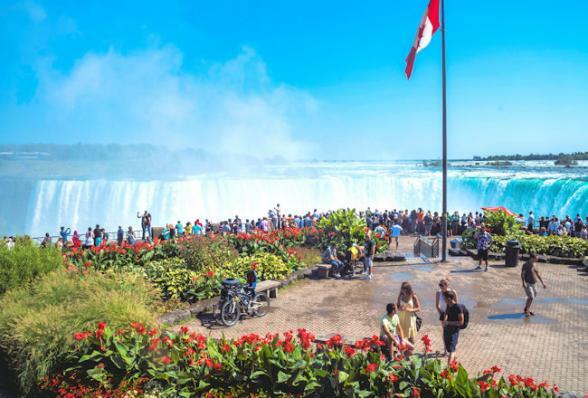 Get up close with a Hornblower boat trip, view the falls from the subterranean caverns on Journey Behind The Falls, or enjoy a birds eye view from the Skylon Tower. If you want to escape the hustle and bustle of Niagara Falls, head to pretty Niagara-on-the-Lake and along the way, be sure to stop at the local vineyards which produce the area's famous ice wine. 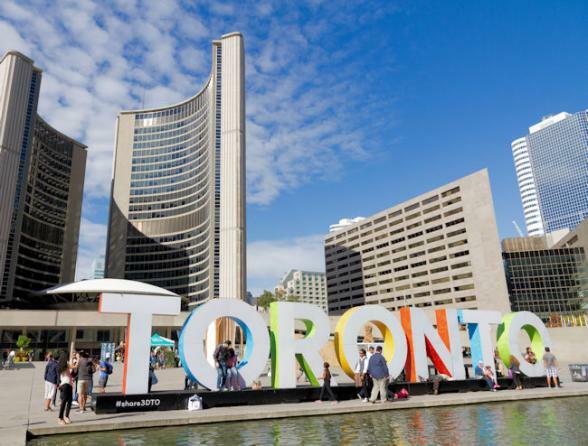 Return your motorhome to the depot transfer back to Toronto airport for your flight back to the UK. Want to extend your motorhome adventure? Perhaps, swap the motorhome for a car, or a train journey along the East Coast, USA? It's all possible, just give us a call.